The oldest building in Dar, the old boma on Sokoine Drive, is now a testament to the city’s architectural history and accomplishments. The old boma, which has survived numerous demolition attempts, also warns of the threat to the city’s rapidly disappearing historical buildings. DARCH has turned the building, which stands opposite the Zanzibar ferry terminal, into a centre for institutional, educational and touristic activities. The centre offers consultation services and a number of public facilities, a permanent exhibition on the city’s architecture and history, a visitors’ desk offering guided city tours and info material, an archive and documentation centre, a small curio shop, rooftop restaurant and a public garden. 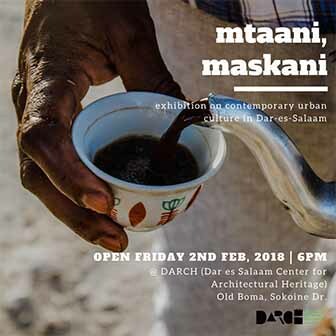 “The threat of the unique architectural heritage of Dar es Salaam and many other cities in Tanzania derives above all from a misconception that ‘heritage preservation’ stands in contradiction to economic and societal development. DARCH seeks to demonstrate strategies and approaches towards built heritage that are innovative, integrated, sensitive and developmental at the same time,” says Mulokozi. Only two buildings built by Sultan Majjid in the 1860’s have survived to the present day. 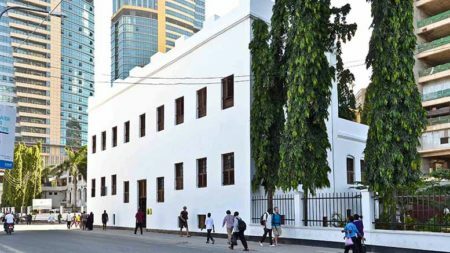 1 Comment on "Oldest building in Dar showcases architectural heritage"
A pride to be part of this project. Most of the wood works were done by Keshawji Ramji Ltd and furniture by VOUGE CREATIONS LTD.